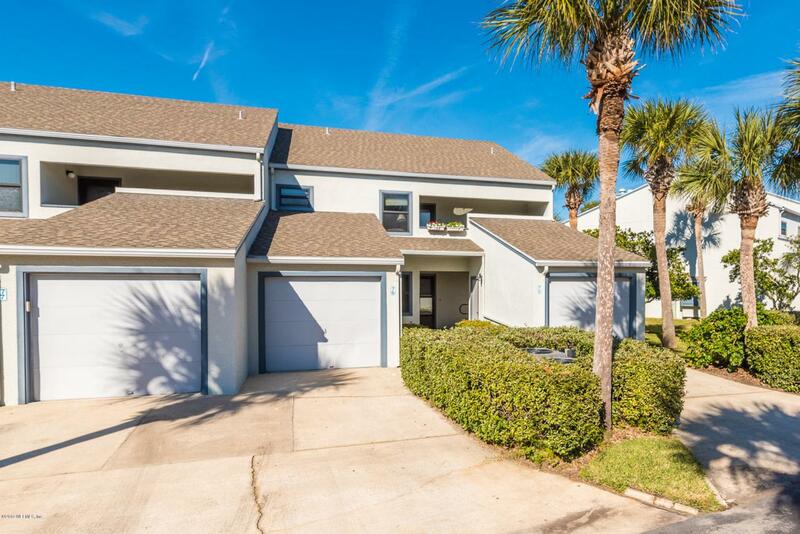 Relax and enjoy beachside living in the heart of St. Augustine Beach. 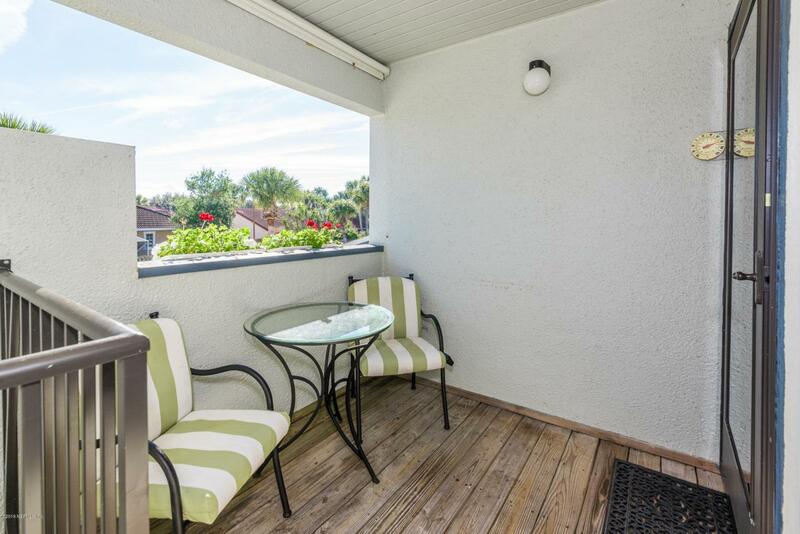 This upscale condo has been meticulously maintained and offered furnished! 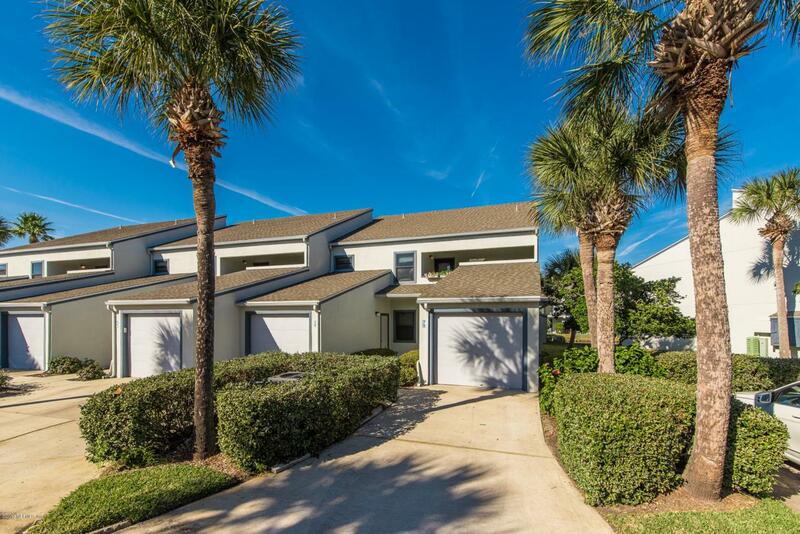 Situated on a lagoon with a 1 car garage offering 2 bedrooms and 2 baths. Your welcomed by the gorgeous wood floors throughout the main living area along with crown molding. Tastefully redone kitchen will impress with granite counters, solid wood cabinets, SS appliances, tile backsplash w/lighting and decorative trey ceiling.Spacious living room centered with an electric fireplace flanked by custom built-in cabinets. Master retreat with sliders to rear porch, fully redone spa like bath with jacuzzi tub, dual vanities and built-in closet. Don't miss the upgraded guest bath with frameless glass shower, mosaic title, vanity with glass bowl sink! 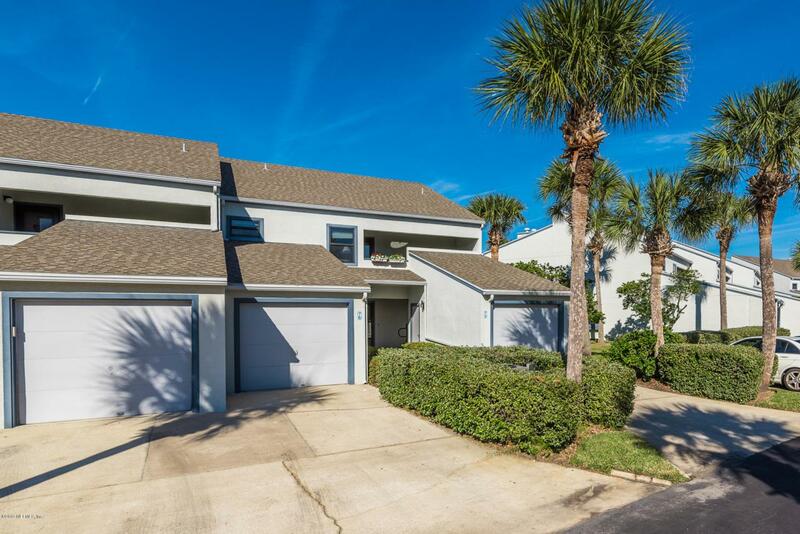 Two covered porches to enjoy the ocean breezes, one at entry and rear porch that spans the length of the condo with views of the quaint lagoon. Seawinds is a popular oceanfront complex with pool, lagoons, tennis court, clubhouse, beach walkover, gate. HOA includes water, cable, pest, landscaping, trash collection, and maintenance/insurance. Owner Pet-Friendly! Walk and bike to restaurants, shopping and only a few steps to the sand!